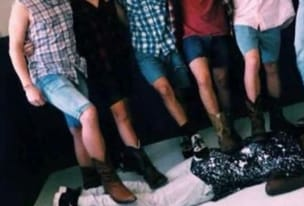 The shocking post sent social media into a frenzy with many frowning on the offensive photo and the racist display by the six white male students at Moody High School in St. Clair County, AL.com reports. READ MORE: Why haven’t the nine people arrested for protesting police shooting of Botham Jean been released? However, “The picture is offensive and unacceptable, and it does not reflect the values of our school, our students, or our community,” he said. Along with the photo, the students posted another with the Black student’s face smiling and hugging the other boys who had their feet on his back. According to the principal, the students were dressed up as one of four destinations: Hawaii, New Orleans, Dallas, and Hollywood. “We are aware of the disturbing picture of Moody High School students that is circulating on social media, and we are in the process of fully investigating this matter. We have confirmed that all students involved are friends and participated voluntarily in creating the picture, which they say was intended to be a “joke”. The picture is offensive and unacceptable, and it does not reflect the values of our school, our students, or our community. Notably, I also don’t believe that the picture reflects the values of the students involved. There is another picture circulating on social media taken of the same group of students at the same time demonstrating that the students are friends. The students involved clearly made poor decisions, and we will take appropriate disciplinary action. The students involved received 15 days of alternative school.